My speaking engagements often take me far afield, sometimes to big cities on the East Coast, but mostly around the Midwest. I have discovered that there is almost nowhere I can go that doesn’t have something to offer that is of interest. 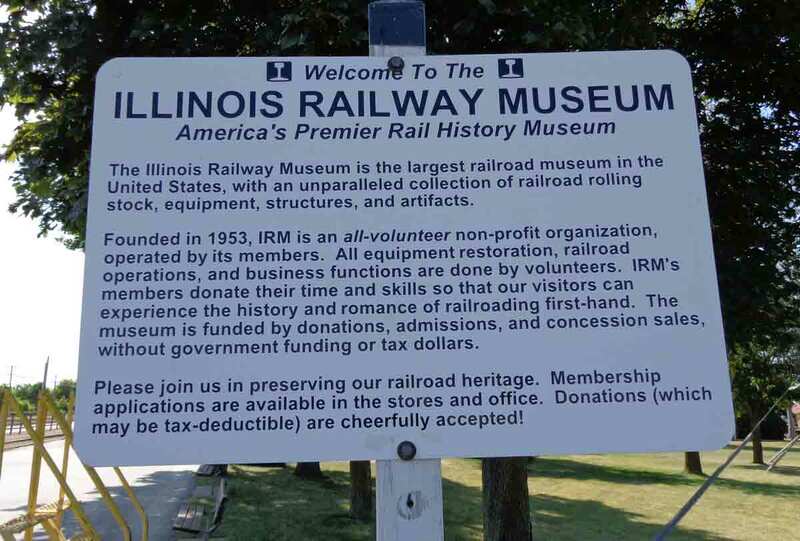 Last year, I was invited down to Carterville, in southern Illinois, to do two of my programs. 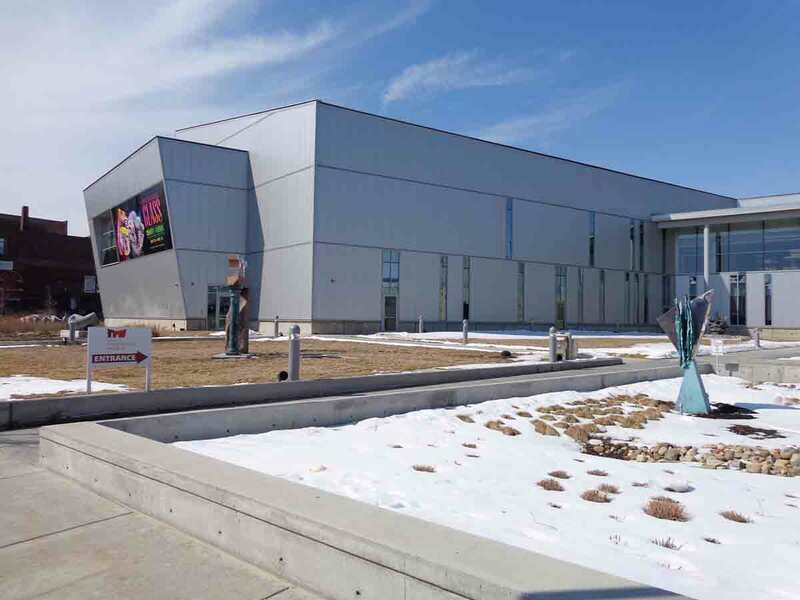 Carterville is a small town, but big enough to have a college. And like all places, it has things worth seeing. Granted, when I go somewhere to speak, I don’t always have a lot of free time, but I can usually fit in a little something. On this trip, there were two memorable “somethings” that got fit in. The town was officially established in 1871, but settlement dates back as far as 1818. Carterville has a number of museums and historic sites, but the “history fix” I managed to fit in was a tour of the Harrison/Bruce Historical Village, a five-acre “village” with a museum and a number of historic buildings moved to the site, including the Purdy School (1860), Hunter cabin (1818), and a log cabin-general store and post office. Always wonderful to see how things were once done. While methods have changed, goals rarely have: have enough to eat, be as comfortable as possible under the circumstances, and get done what needs to be done. The other “something” was a barbecue joint that I’d been told about even before leaving Chicago: “You’ve got to get to 17th Street Grill.” It’s actually not in Carterville, but in the next town over, Marion, but they’re so close, most of the folks in the restaurant were from Carterville. 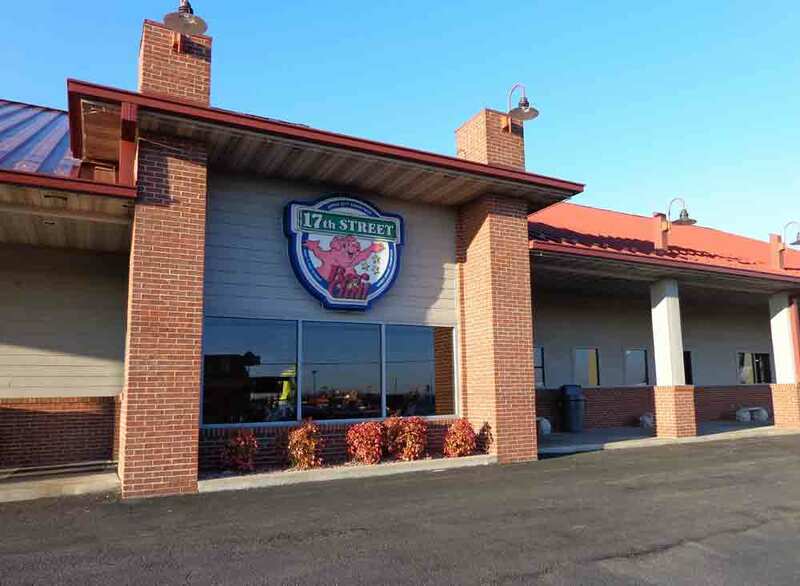 With an owner who regularly brings home trophies from barbecue competitions and a wall full of impressive reviews (including “best ribs in the U.S.” from Bon Appétit and “best wings” by Food & Wine), it felt like a good place to be. In fact, it was good enough that I got there twice in the two nights I was in town. That gave me a chance to try both their brisket, and their ribs. Both were outstanding—good smoke rings, great sauces, perfectly cooked. Appetizers were wonderful, too, particularly the highly regarded chicken wings, as well as the Southern fried pickles. 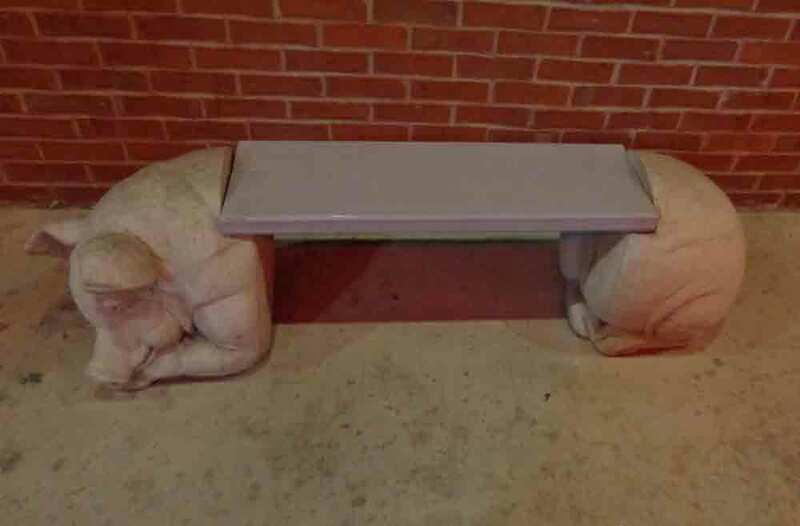 I was amused to note that the benches outside were sleeping pigs. Definitely a place where pork is taken seriously—and whimsically. 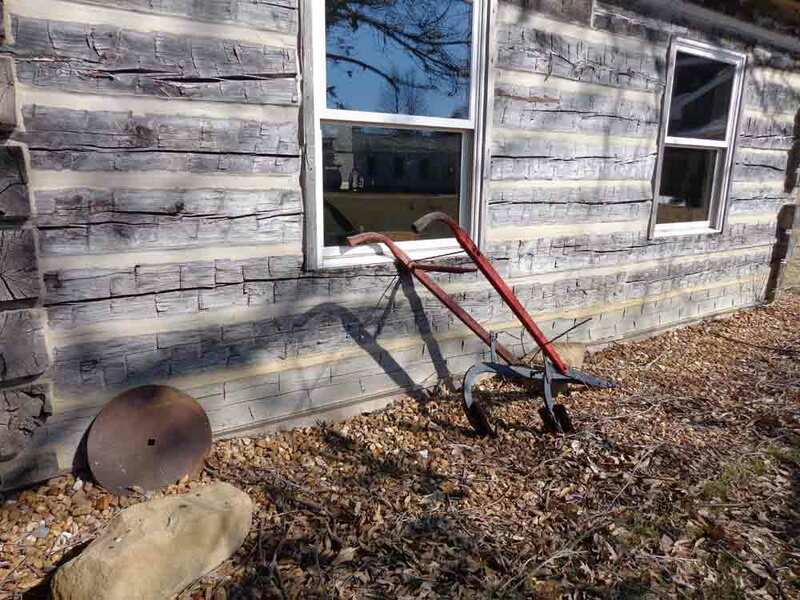 Anyway, keep an open mind as you travel, because there are remarkable things everywhere, from archaeological digs to state forests, museums to old mansions, and even a few really top notch places to eat—even in places smaller than Carterville. The first transportation routes into the Midwest, aside from footpaths through forests, were lakes and rivers. Trains and roads would eventually replace reliance on natural waterways, but before that would happen, people created alternative waterways. The Eerie Canal, completed in 1825, was an instant success—enough so that it encouraged a rush to build canals elsewhere in the U.S. By the end of the 1800s, there were more than 4,000 miles of canals. 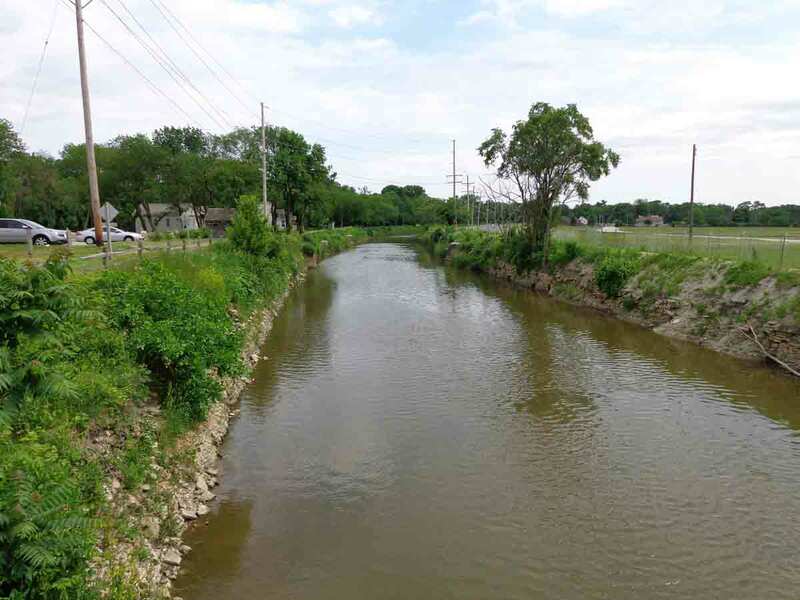 In the Midwest, the objective was to get from the Great Lakes to the Mississippi—because canals connected waterways, rather than replacing them. That would be accomplished by the Illinois and Michigan, or I&M, Canal. The references to Illinois and Michigan were to the key bodies of water in the region, Lake Michigan and the Illinois River. The Illinois River fed into the Mississippi, and by connecting the river with the lake, the ninety-six mile long canal created dramatically improved shipping. It also created opportunities along the route of the canal. 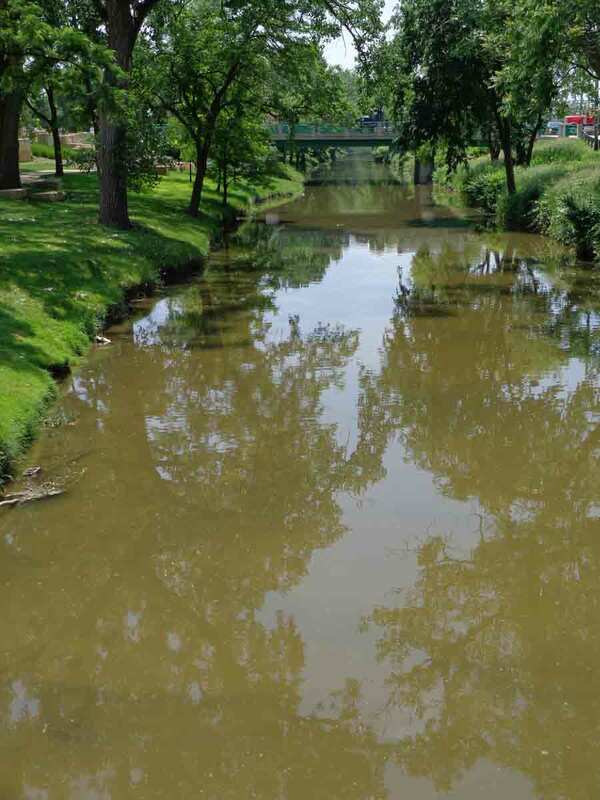 Lockport, IL, was established in 1837 as headquarters for construction and administration of the canal. Then as now, the region’s focus was on agriculture. The canal not only made travel easier for settlers headed to the region, it also made it easier for farmers to ship their crops. Tons of corn, corn whiskey, and corn-fed pigs were carried along the canal. 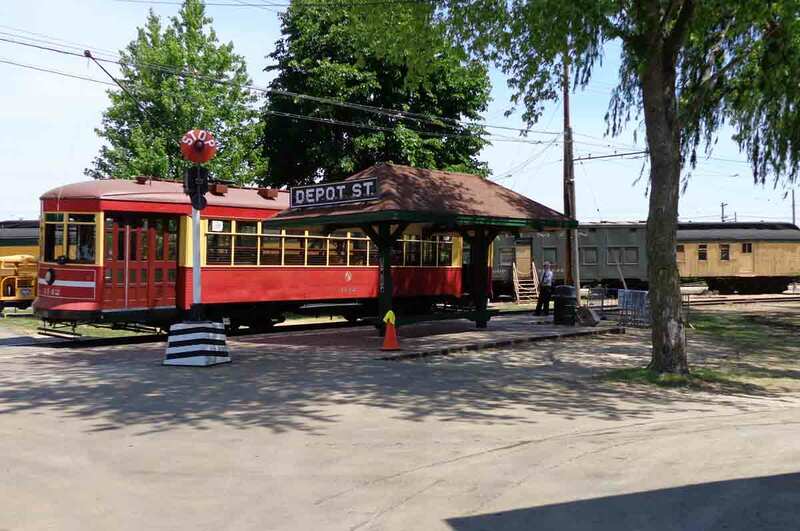 Today, the town of Lockport is home to the I&M Canal Museum, Will County Historical Society, and several handsome buildings that date to the heyday of canal transportation. The canal itself is somewhat diminished, and it is hard to imagine its importance from looking at the picturesque remains of this once vital transportation route. But it was of huge importance in the 1800s. 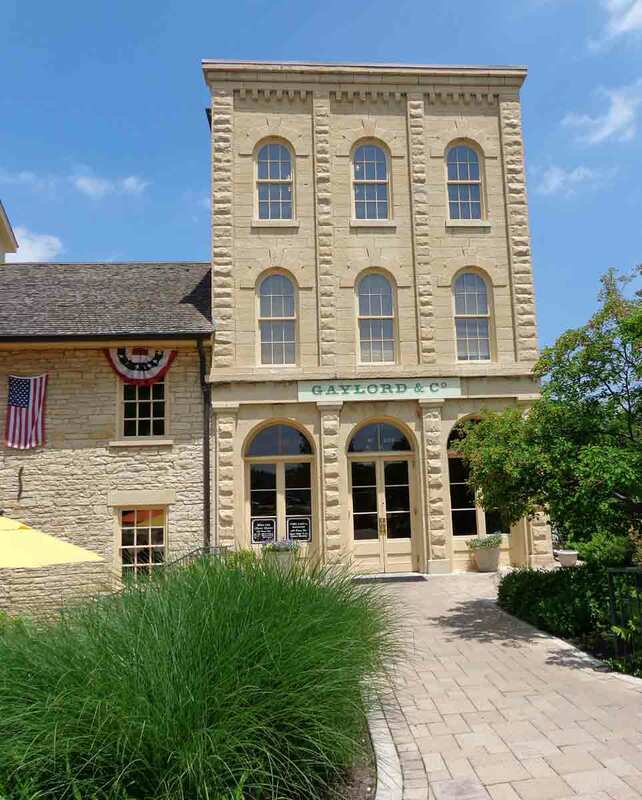 The Gaylord Building, on the right, was built in 1838, though it is named for the local merchant who bought it in 1878. It was part of the large warehouse complex that stored construction materials for building the canal. 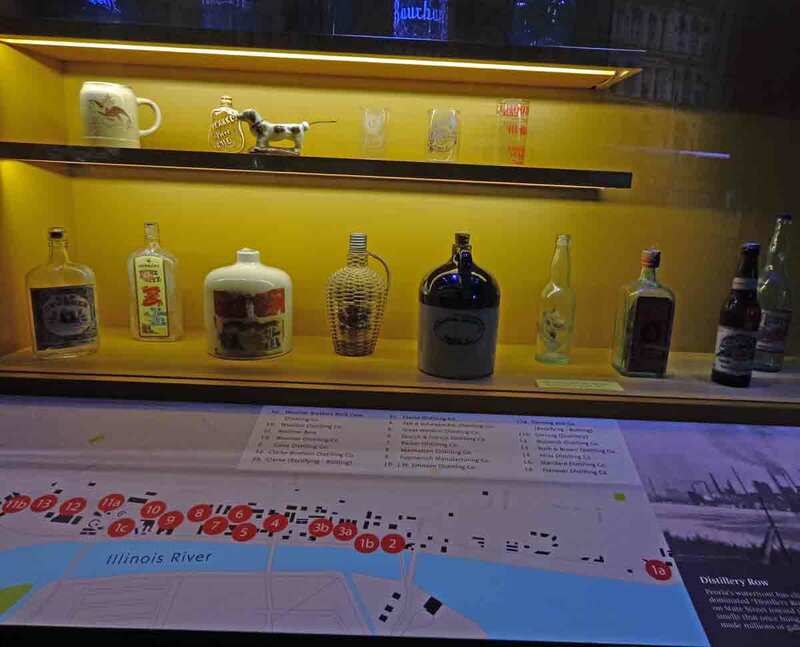 Today, it houses exhibits on the history of the canal. The part of the warehouse complex on the left was repurposed as well, and now houses the excellent Public Landing Restaurant. 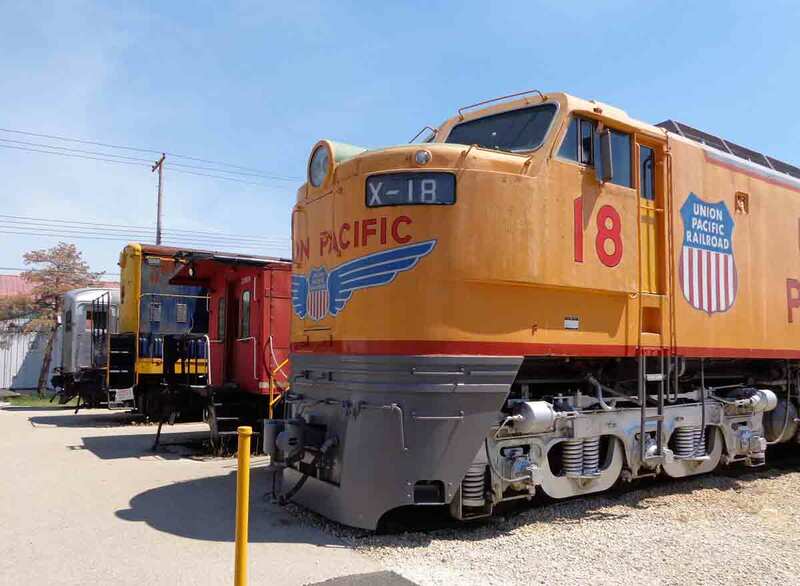 Between old buildings, charming museum, and a couple of outstanding restaurants, Lockport is definitely worth a visit, should you find yourself in this part of Illinois. 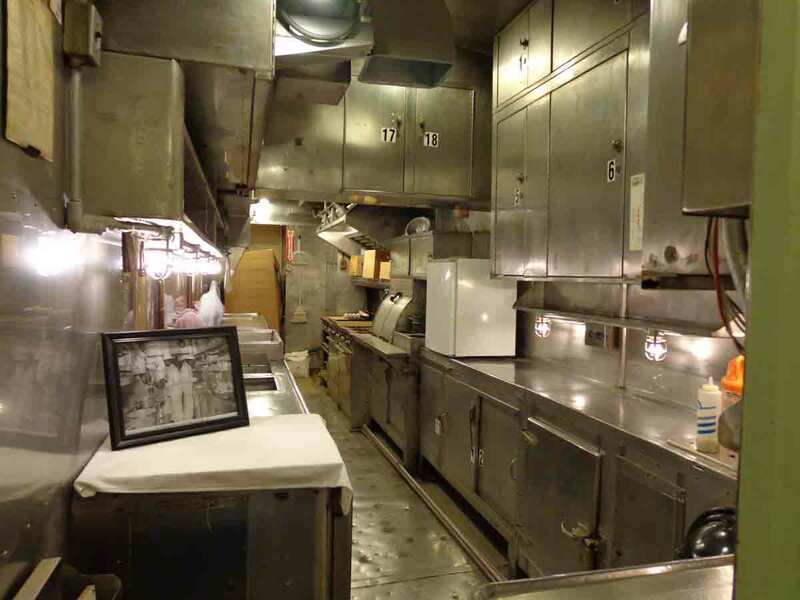 Because I’m a food writer, as well as a historian and travel writer, I figured I should slip in a little chow-related information, as I talk about this area. I don’t think anyone would consider Bloomington a destination for dining, but if you’re there or in the neighborhood, you will be pleased to know that the options are surprisingly good, and I had some excellent food during my research trip and then on this return trip to speak and promote my book. Having friends in the area, a lot of meals were eaten at their home, but that meant I got exposed to places where you can buy the basics—or enjoy treats. Just outside of Normal, which is so close to Bloomington that the two usually get clumped together as Bloomington-Normal, one place worth looking up is Ropp Jersey Cheese. Here, a gentleman named Ken Ropp has a small operation where he makes wonderful cheese out of the rich milk from his Jersey cows. These are beautiful cows, and their milk is high in butterfat, and the cheese is fabulous. Ropp make a lot of “straight” cheese—gouda, swiss, cheddar, etc.–but also creates a number of flavored cheeses, which are great for snacking. I liked the smoked gouda and green-onion cheddar best of the ones I tried–and I bought both). But farmer Ken Ropp doesn’t stop there. He uses the whey from the cheese making to help feed his heritage pigs, and you can also buy really dandy pork products from him–which we also did. We bought beautiful pork chops and flavorful garlic bratwurst. Ropp caters mostly to local restaurants, but he also sells retail from the small shop on the edge of the farm. They also have free-range poultry and beef, though on a much smaller scale. Definitely one of those great, small, mixed purpose farms that is worth encouraging. So if you’re in the area and hankering from some farm-fresh cheese or meat, you might want to visit. I haven’t visited The Chocolatier since they moved to their new locations, but previous experiences makes it easy to recommend this confectioner. Common Ground is a splendid organic/natural/health food store in the center of town. My friends always like to stop there to load up on the basics when they have guests – and this last time, I picked up some really beautiful ginger-peach tea. There is also a great farmers’ market every Saturday from May through October, set in the historic center of town, around the McLean County History Museum. (You can get a glimpse of it in my original post on Bloomington.) Plus there are a number of delightful coffee shops, where locals clearly enjoy hanging out. So a nice town for food, as well as for history. Though more commonly associated with his hometown of Springfield, Abraham Lincoln had remarkably strong ties to Bloomington. In the courthouse that is now the McLean County History Museum, Lincoln argued many of his early cases. And this courthouse was presided over by one of Lincoln’s strongest political allies, Judge David Davis. 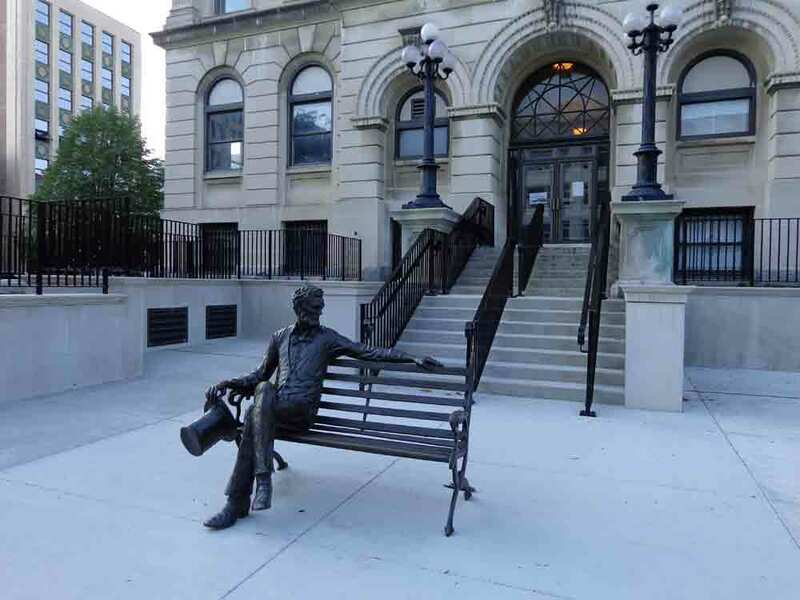 The long association between Lincoln and this one-time courthouse explains the statue of Lincoln, waiting comfortably on a bench outside the entrance. There are more buildings still standing in Bloomington that were regularly utilized or visited by Lincoln than in any other community. 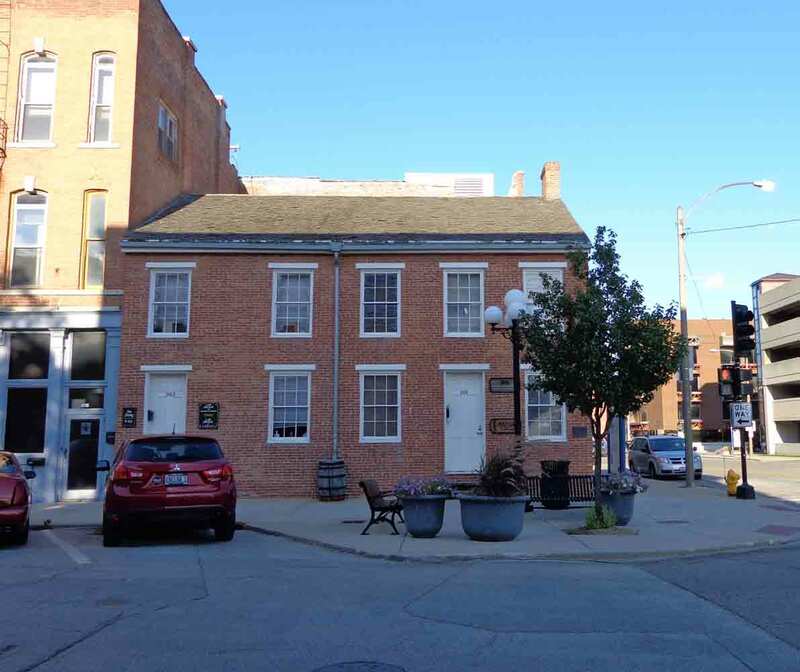 Among these buildings are the Miller-David law offices, pictured below, which Lincoln often used. As a lawyer, Lincoln represented many businesses in Bloomington, including the city’s first bank. In 1852, Lincoln bought two city lots east of downtown Bloomington, though he later sold them. He lectured here often, campaigned here, and had many friends here. Only Springfield played a bigger part in Lincoln’s career than Bloomington.